The series will present technical information on setting up a WordPress site, but will also suggest content for your author website. You can read just the the technical stuff about setting up a website; or, you can read just the content ideas; or, you can read along with both technical and content. 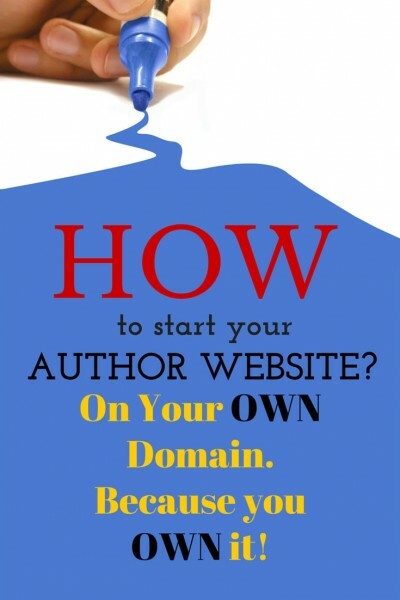 If you are starting from scratch, with no website at all, you’ll want to do both. If you already have a site set up and want to focus on content, you can do that. Or, if you have a website with content, but you want to move over to a self-hosted WordPress on your own domain, just read through the technical stuff. Here are some FAQs. These tutorials will explain how to set up a specific type of website, a WordPress installation that acts as both site and blog. Why not start with social media? Because your website/blog is Owned media, you decide what content is included and how you will promote your work on the site. All other social media are subject to a corporation’s goals for the platform. As a corporation’s goals evolve and change, the tools available to you on that platform will also change. For those reasons, I recommend a website/blog as the home base for authors. After you develop a strong home base, you can branch out to other social media, as you have time and inclination. If you don’t want a WordPress site, you can skip the technical tutorials on WordPress and go directly to the posts on what pages and content your website should contain and why. If I am going to do a WordPress site, why not just get a WordPress blog from WordPress.com? Or can I do a blog from BlogSpot.com or other blogging platforms? Of course, you can do a blog at any of the companies who host blogs. However, I don’t recommend it because it will not be on your own domain. Website traffic will flow to wordpress.com not famousauthor.com. You want to be in control of your own traffic. You also have more options (and more responsibility) with your own self-hosted WordPress installation. For example, you can add any kind of advertising you want, which gives you the possibility of another income stream. I want my site to look like it has been professionally designed. The look of the site is extremely important. My philosophy is function first; then decorate. You are right, the look and operation of a website is extremely important. You should look professional and up-to-date, and this is simple with WordPress. Themes are WordPress’s way of changing how the site/blog looks. They don’t change the bones of the site, just the skin, or how it appears. In the early days of your website, I recommend that you start with a minimalist theme that gives clean and easy to use lines. Master the website and blogging essentials, making the site’s functionality the priority. Does the site allow the reader to do what they want and need? Once the website is functioning well, then move on to fancier designs. Actually, authors should be used to this idea. For us, the story comes first, then the layout and design. In a similar way, concentrate on the content for a while before you spend too much on the design. Of course, another option is to have your website professionally designed. But this can be expensive. I recommend that you start and maintain a website for a while before you consult a website designer. That way, you’ll have a better idea of what works for you and what you want from a professional. When you are happy with the functionality and you’ve maintained the site for a while, then you can spend the thousands of dollars on how it looks. You can go as fancy as you like, because the site functions well. While you are getting going, start a Pinterest board and pin ideas for your website that you can implement down the road. Or, many sites offer premium or paid themes. For some, you can pay a minimal fee sometimes for customization. For example, Themeforest(affiliate link) has a wide variety of themes. Look at these themes created with the author in mind (affiliate link). For custom modifications, try Odesk.com, Elance.com or similar sites to find freelance coders who are familiar with WordPress. 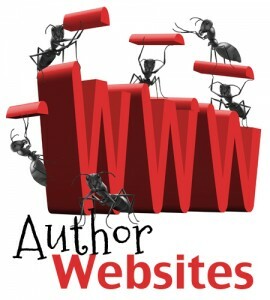 Find more website theme options on the Author Website Resource page.